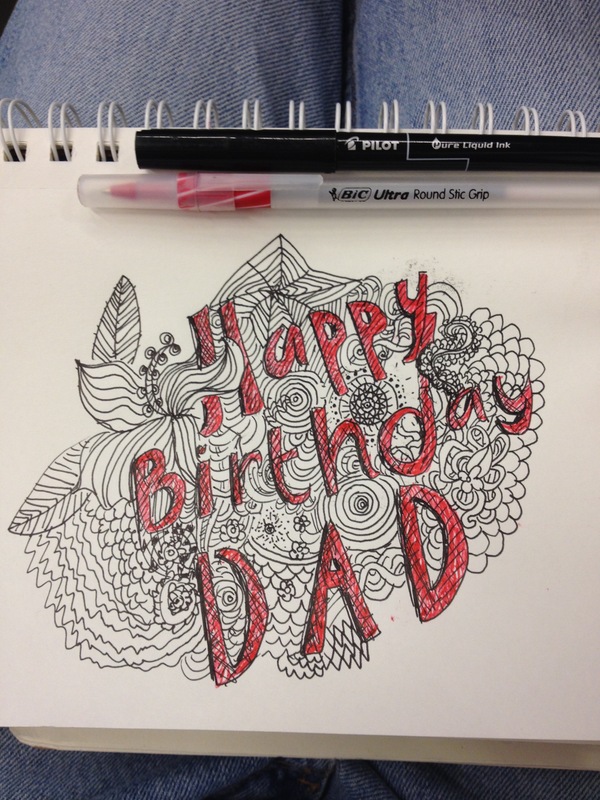 Facebook-Wall-Card for Dad | MakerKat. Find out more about this piece at my new blog for all projects Makerhaus. I’m going to post here, too, but I love keeping all of my projects there as this clean documentation of everything I’m doing there. I am really excited about making things with new mediums. It’s been too easy for me to stick with acrylic paints and pens I find in other people’s pen cups. I love doodling. There’s something subconscious floating to the surface in doodles. I think you can tell a lot about how a person thinks by how they draw.